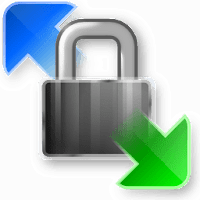 WinSCP (Windows Secure Copy) is an award-winning, open source SFTP client, FTP client, WebDAV client and SCP client for Windows. Its main function is file transfer between a local and a remote computer. Beyond this, WinSCP offers scripting and basic file manager and file synchronization functionality. For secure transfers, it uses Secure Shell (SSH) and supports the SCP protocol in addition to SFTP. WinSCP is based on the implementation of the SSH protocol from PuTTY and FTP protocol from FileZilla. It is also available as a plugin for Altap Salamander file manager, and there exists a third-party plugin for the FAR file manager. Croatian, Korean, French, Ukrainian, Dutch, Polish, Czech, Finnish, Italian, Catalan, English, Portuguese, Serbian, Chinese (Traditional), Swedish, Turkish, Indonesian, Malay, Brazilian Portuguese, Chinese (Simplified), German, Japanese, Spanish, Russian, Hungarian, Norwegian. Disclaimer: Direct downloads for the lastest version of WinSCP 5.11.1.7725 are provided by the official software's author, we can't guarantee safety, availability or download speed. Moreover, we don't and we won't provide any pirated/illegal versions or tools. We recommend you to avoid it as these methods can harm your device. If you like the software, buy it to support the developers. (We provide software discounts for many worldwide brands).